Super Savings Item! 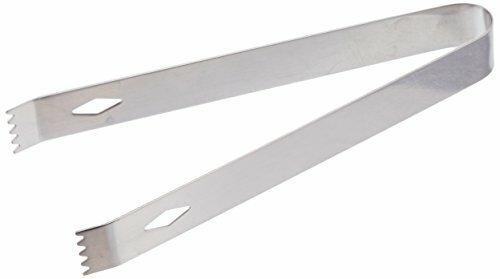 Save 36% on the Tablecraft H1246 Stainless Steel Ice Tongs, 6.75'', Metallic by Tablecraft at Foom App. MPN: H1246. Hurry! Limited time offer. Offer valid only while supplies last. Prepare your guests' favorite drinks with ease with TableCraft's Stainless Steel Ice Tongs. Perfect size for grabbing ice cubes, garnishes and more. Prepare your guests' favorite drinks with ease with TableCraft's Stainless Steel Ice Tongs. Perfect size for grabbing ice cubes, garnishes and more. Durable Stainless Steel construction to provide years of dependable use.